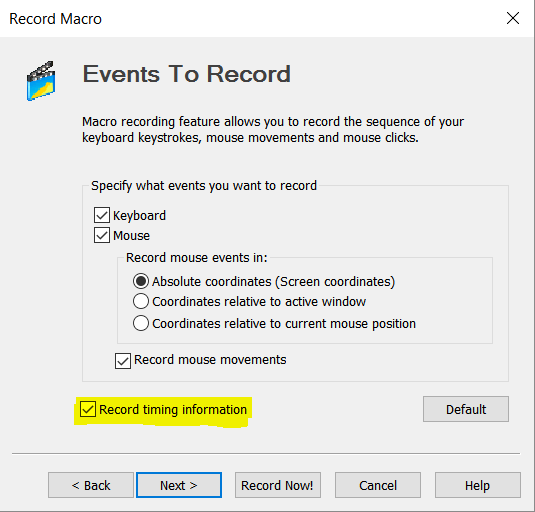 Is there a way when using the 'Record Now' function to make it remember the duration of my key presses? For example, I need it to hold the up key for 5 seconds while I push other keys in combination with it. Currently, it is not recording the time spent pressing each button.